With Robinsons, international removal is more than getting you from A to B. It’s about helping you build a new life abroad. As one of the UK’s largest household goods exporters, we’ve perfected the stress-free international move since 1895. We see things from your point of view; we’re always Moving Your Way. Every international move is coordinated by a dedicated Move Manager. As your main point of contact, they’ll take care of timing, customs regulations, packing and much more. Packing is an important aspect of moving, so we have plenty of packing options to suit your budget. 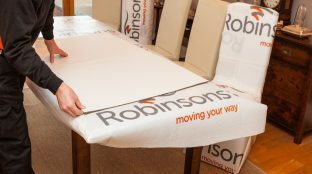 The Robinsons packing teams undergo specialist training and are regularly updated with the latest techniques. You can rest assured that everything, from your favourite mirror to your family crystal, will be packed and transported safely. But if you prefer, you can also choose to pack independently. If so, we’ll provide you with packing materials well in advance of your moving date and advice on how to minimise risk of damage. You provide the possessions; we’ll bring the impeccable organisation skills. We know that the moving process isn’t just about hauling in a truck and crew, it’s about making enough time to complete all tasks and execute a stress-free move. 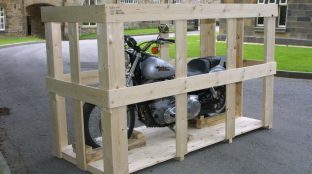 We specialise in shipping cars and motorcycles, so it might be a long distance to haul your treasured wheels, but our expert Move Managers will guide you through it.